Oman . attractions . jebal akhdar . Whether you’re most interested in natural landscapes, history and culture, or delicious food, Oman has a lot to offer. This nation of around 4.5 million people on the Arabian Peninsula has a rich cultural heritage, with its historical sphere of influence stretching across the Indian Ocean and Persian Gulf, as far as Zanzibar and Iran. Today, it’s a remarkably friendly place to visit. In addition to museums and historic sites, there are a wide range of landscapes: miles of pristine coast, broad swathes of desert, and imposing mountains. 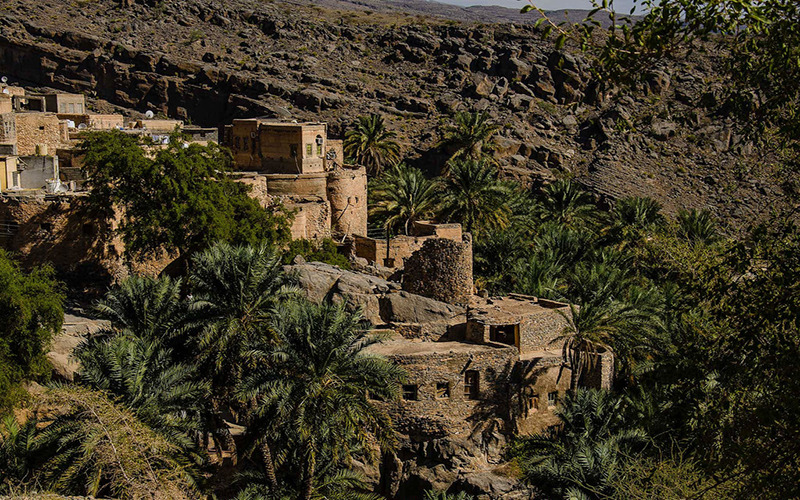 Read on to learn about some of the best places to visit in Oman. 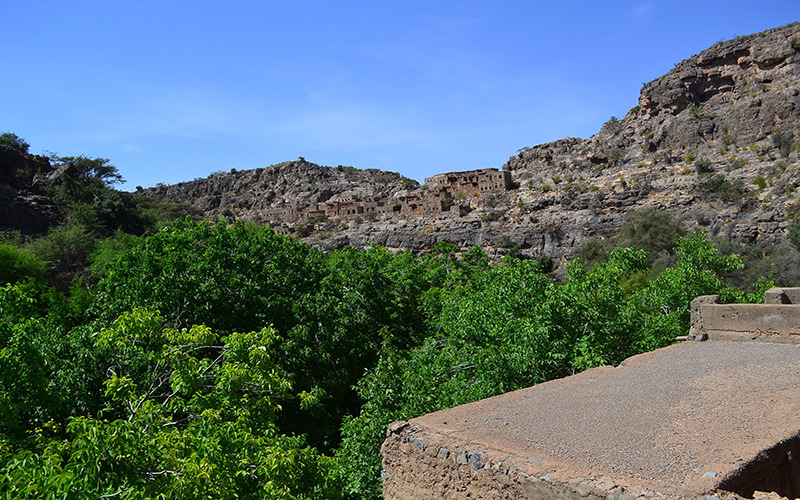 Known as “Green Mountain” in English, Jebel Akhdar rises 2000 meters above sea level and enjoys enough rainfall to support considerable agriculture, hence the lush green terraces covering this area. You might pass figs, apples, pomegranates, and apricots as you explore, and if you come in April or May, Damask roses will be in full bloom. Jebel Akhdar is well-known for its cultivation of roses, which are used to create rosewater, a common ingredient in Omani cuisine and fragrance. This area is also home to several villages, many of which have paths marked with yellow, white, and orange blazes to guide visitors. 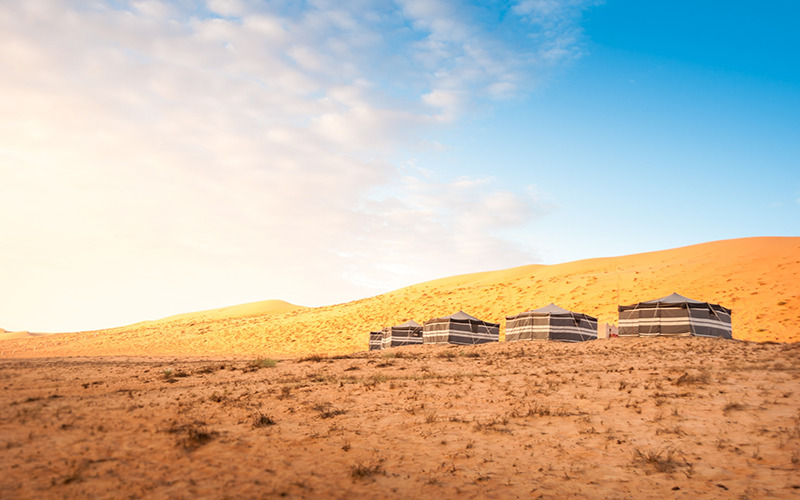 With its golden sand dunes stretching in every direction, Wahiba Sands is the definitive desert experience. Lose yourself in the vastness of the desert. If you’re feeling adventurous, attack the dunes in a 4x4. And if you truly want to slow down time, camp out for a night or two under the stars. As you travel around Oman, you may begin to notice that sand-colored forts are everywhere and wonder just how many there are. The answer? Over 500. They perch atop rocks and cling to hillsides, defending every conceivable strategic point. While in Muscat, you’ll likely see the 16th-century Jalali and Mirani forts guarding the bay. Several of these forts are especially impressive, and luckily, some of the best are located quite close to each other: Nizwa, Bahla, and Jabreen are three fantastic and very different forts with plenty to explore. Nizwa makes a good first stop, since its fort contains a museum that will give you background context on Omani history. The fort’s most famous feature is its huge round tower, much of which is filled in with dirt and rocks, making it an incredibly strong defensive structure. While in Nizwa, you can also browse the shops to pick up some dates or handicrafts. A UNESCO World Heritage site, Bahla Fort was originally constructed of straw and mud bricks between the 12th and 15th centuries. It has undergone extensive restoration and now appears to the visitor in its full glory. Its massive complex takes hours to explore in full. Finally, Jabreen Castle, dating to the 17th century, boasts intricately decorated interior rooms: two towers, a library, a courtroom, classrooms, and various reception areas, all of which can be explored with an audio guide. Throughout the castle interior, you’ll encounter wooden balconies, decorative ceilings, delicate carvings, archways, and more. There really are too many forts in Oman to visit in one trip, unless you stay for a year—but do make sure to see at least a few! Other top contenders include Nakhal Fort, Sohar Fort, Al Fiqayn Fort, and Rustaq Fort. 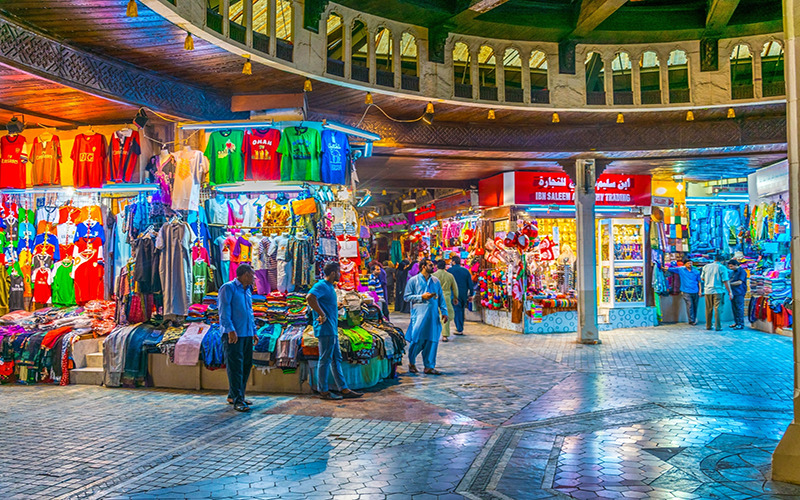 Mutrah Souq is perhaps best enjoyed on warm evenings, when aromas of frankincense, perfume, spices, and rose water float on the breeze and silver crafts glitter in the light. Meander at your own pace through the dozens of winding alleys. Here, you’ll find the perfect memento to take home and remind you of your trip. The souq is located right by the Mutrah Corniche, a pleasant place for a waterfront stroll—keep an eye out for the traditional wooden dhow ships, a testament to the country’s storied seafaring heritage. 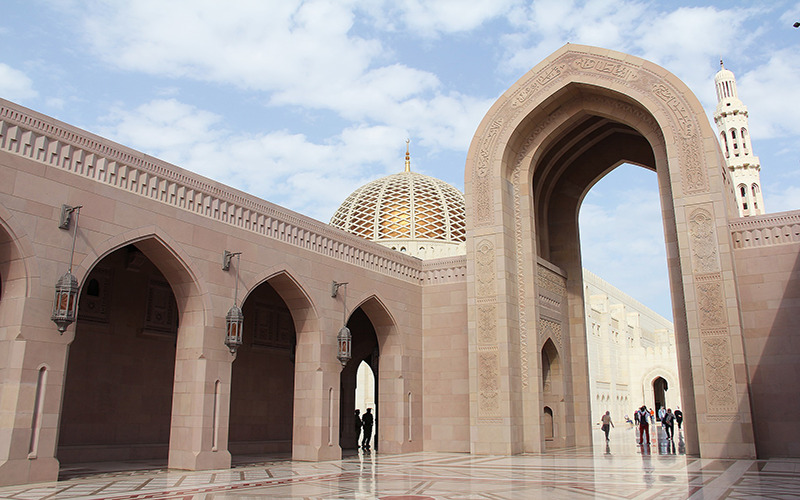 Also located in Muscat, this expansive mosque can host thousands of worshippers at once. Made from sandstone, it features a large dome, a main minaret, and four smaller flanking minarets. Inside is one of the world’s largest hand-made Persian carpets, which took over four years to weave. The chandelier illuminating the prayer hall is likewise impressive, containing hundreds of thousands of crystals. This mosque is a true highlight of Muscat, a peaceful and visually captivating oasis in the city. An idyllic village tucked away on a mountainside, Misfat is a relaxing place to spend an afternoon. Simply walk its narrow streets with no set itinerary other than appreciating its architecture—traditional mud houses set on solid rock foundations—and beautiful setting. Wind your way through the numerous mango, pomegranate, papaya, and palm trees that are grown on the slopes here. As you walk, take a moment to admire the falaj irrigation system up close. A stunning area of natural beauty, Wadi Shab has high rocky cliffs, waterfalls, pools of sparkling water, and palm groves. This relaxing hike through a gorge is great even on a hot day, since at various points you can slip into the bright turquoise water to cool off. After about an hour’s walk, hikers end up at a sunken cave, perfect for taking a swim. Wadi Shab is also very close to Tiwi Beach, where you can enjoy still more swimming and a pink sunset. 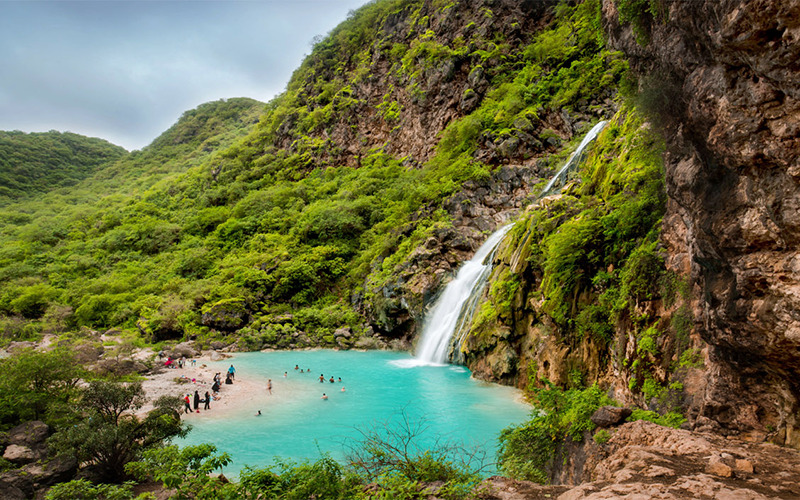 Oman is a beautiful country in nature, if you prefer small, friendly and welcoming people country, Oman is your ideal destination, you can discover it through one of our oman travel packages!